Do you want to turn off the screens and get your kids playing outside? Check out these cheap outdoor toys that are sure to get your kids outdoors. Includes ideas and play activities for each toy and a free play card printable. Summer is here and every evening you can hear the sounds of children playing. I loved this time of year with my boys. FINALLY we could head outside and release some of that pent up energy that built to a fever pitch over the winter. I always felt good when I could get my kids playing outside. The best part about warmer weather is the outdoor playtime. Stepping out of the back door without having to put on winter gear was (and still is) the ultimate freedom. My boys spent most of their summer outside. Our backyard was a magnet. They spent hours out there. I can still here the sound of them playing and laughing. I would say that the most magical moments of their summer days took place outside. It was definitely part of their good old days. You don’t need expensive toys to get your kids playing outside. 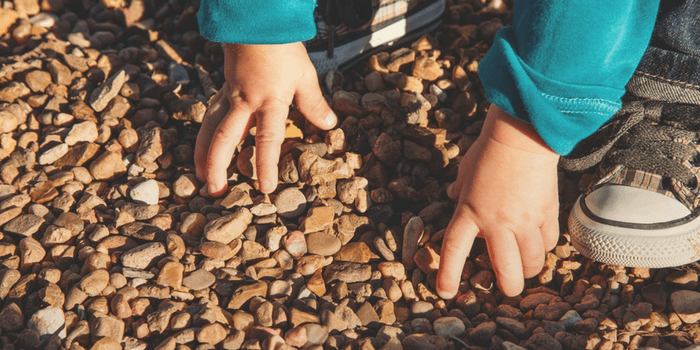 Over the years, I gathered some fabulous outdoor toys that gave hours of play and made it easy for me to get my kids playing outside. We were managing on a lower income, so when I chose to spend our hard earned cash on toys I wanted them to be something that would last and be used well. I’ve put together a list of our family’s favourite outdoor toys. They are all under $10, so it won’t break the bank to stock up. Most of these were the things my boys played all of the time. I’m sure that you already have many of these things already. So all you have to do is gather them up and have them ready. If you want to purchase any of these they will be under $10. This is a staple for outdoor play! 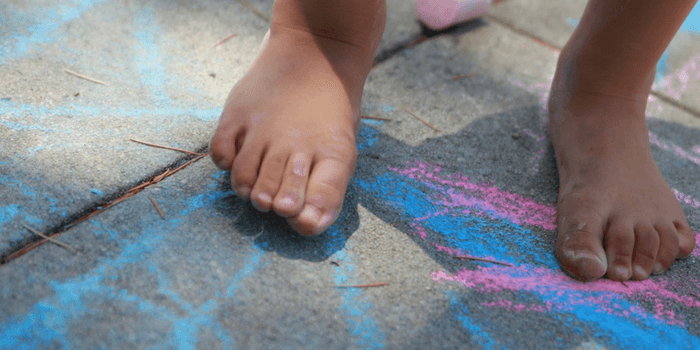 Kids never tire of drawing on a driveway, the patio, and even themselves. I use this sidewalk chalk. I discovered that you now get glitter sidewalk chalk! Where has this wondrous thing been all my life? The kids at the library will love it. No summer would be complete without bubbles. What is it about this toy that appeals to kids? Not all bubble mixture is equal, but this one works well. This is another toy that draws in every kid. 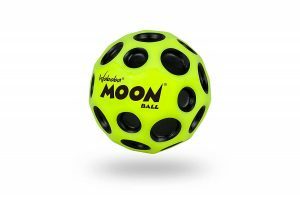 Balls get kids moving and help develop gross motor skills. Doesn’t it sound cool. Still any ball that you already have will do just fine. We picked up loads of rocks and stones and even pebbles in our outdoor adventures over the years. They are a wonderful toy and completely free. They are a backyard version of the building block. I love that they are completely open-ended, so they can become whatever your kids want them to be. It’s amazing what children can do with sticks if given the time and space. I’ve seen sticks be used to build dens and tepees. They double as fishing poles, bow and arrows, swords, and walking sticks. My kids built bridges and dams with large sticks. They are another open ended toys and the price is great! The Woodland Trust has a wonderful downloadable sheet with 20 suggestions for playing with sticks. This one needs no introduction. Frisbees help get kids moving and helps improves agility. Even better throwing them makes the arm “cross the midline.” This is one of those motor action that is really beneficial for brain development. You find a decent Frisbee here. This is the one toy we didn’t use. 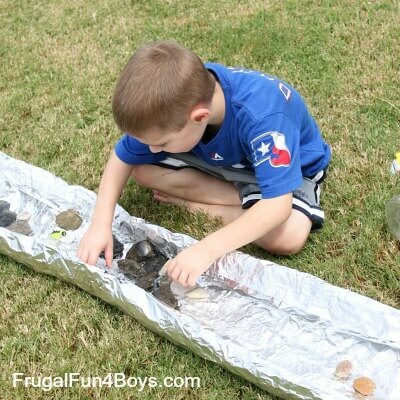 Oh how I wish I had known, but who would have thought tinfoil could be an outdoor toy? When you make a tinfoil river it is. Last summer we made tinfoil rivers at the library. I must admit I was VERY dubious about this activity. I wasn’t sure it would work. The kids LOVED it. They made little boats and played with it all afternoon. 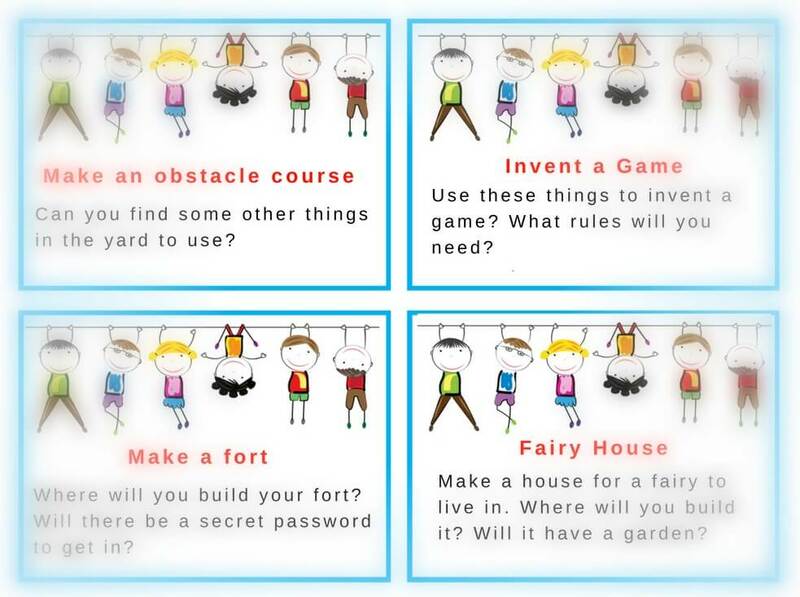 You can get instructions from Frugal Fun For Boys and Girls. BTW you will probably want to get the heavy-duty kind of tin foil. Technically the last two aren’t outdoor activities, but they are fun! Not a traditional toy by any means, but camping tarps are so versatile. Fold it over a clothesline and weigh down the edges to make a tent. I remember playing for hours with a jump rope. We had all kinds of jump rope rhymes and I would challenge myself to get up to 100 skips (if only I could do that now). Playing with a Jump roping is a great activity for heart and lung health. It also helps develop co-ordination. once again not all jump ropes are equal, but this one got great reviews. This is another one of those toys that has all kinds of benefits. It gets kids moving, builds core strength and develops co-ordination. Besides hula-hoops are so versatile. Put them on the ground and use them as target for bean-balls or lawn darts. Try spinning and rolling them. How long can you keep them up? I tried to find some hula hoops on Amazon. Anything with decent ratings was very expensive. The cheaper ones had some very bad ratings. It is the kind of thing you can pick up at a dollar store. We used a large tub like this one to store everything. Clean up was fast as the boys just had to toss everything in. We did need to remember to put it under cover as it would fill up with water when it rained. Any box, tub, or basket will do. it doesn’t have to be fancy. One thing I love to do with kids is to give them a challenge. It is a great way to encourage team work, creative thinking, and problem solving. To make things easy for you I have created some challenge cards for you to download, print and use. Grab your free printable from the library click here. How do you get your kids playing outside? What is your child’s favourite outdoor toy? Do you have any to add to the list? Remember they have to be under $10. I really appreciate the play activities on your blog. Yours is one of the go to sites when we are looking for kid’s activities for programs at the library. They always go over well with the children in our community. They certainly can. I’ve seen kids play happily all afternoon with the natural things they found in the woods. You really put together a great list, especially because these toys are so open ended that they promote imaginative play. When we get outside, I try to keep our activities on the imaginative or active side. I think sidewalk chalk is probably my favorite of the list and I’ve had a few go with them with great results. 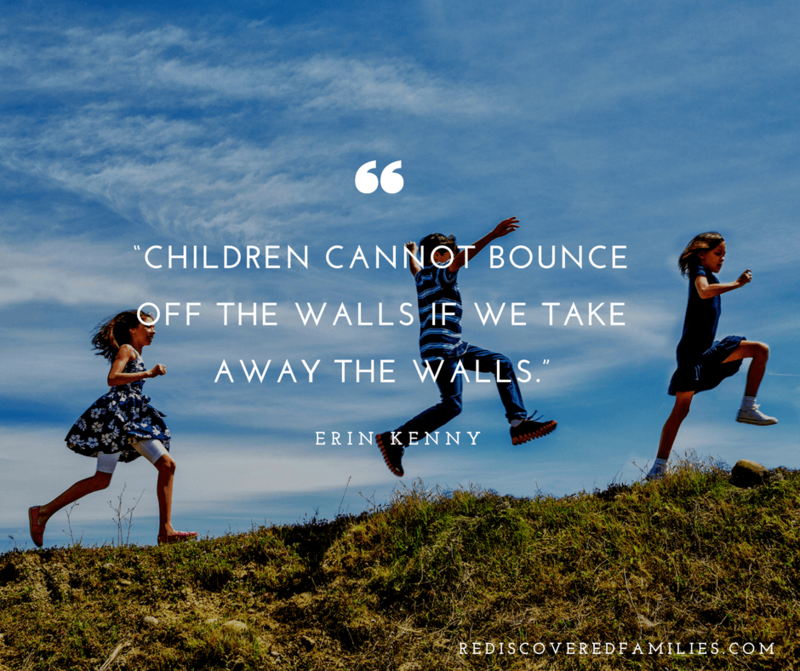 They also work on trees and walls that also creates some great play opportunity. I totally agree with one of the comment above also that kids are inherently resourceful and can turn almost anything into toys. Tony recently posted…Learn Guitar With Guitar Hero-Like Games! 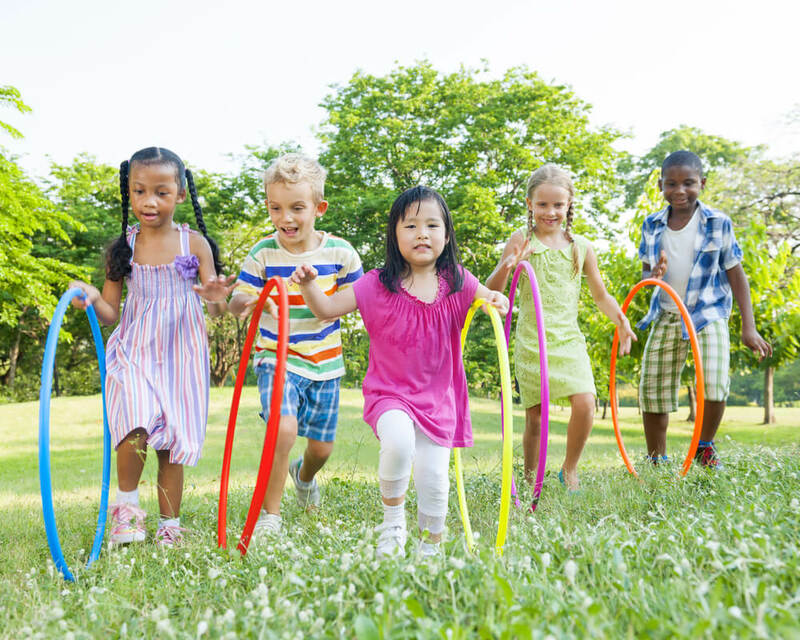 I love these activities – especially jump rope – It’s a great base for anything athletic your kid might want to do. An important part of all of these is enthusiasm, which you seem to have a lot of! It’s easier for a kid to have fun if mom and dad are having fun too! 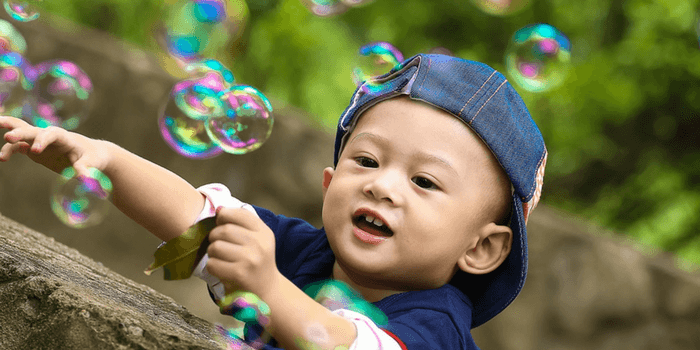 Some great suggestions and this article really does confirm that you don’t need to spend a fortune to have fun outside with your kids. My daughter loves playing ball and also bubbles which are both very affordable and provide hours of fun.